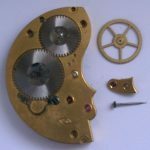 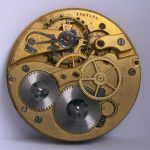 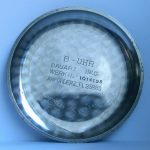 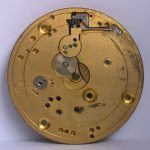 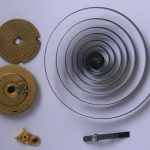 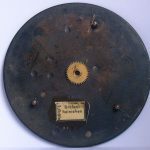 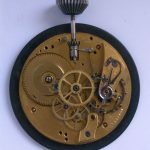 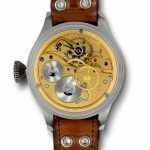 The caseback was solid with only an etched serial number, the 'Back' picture shown is of the movement underneath the caseback. 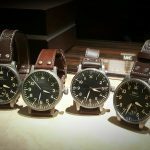 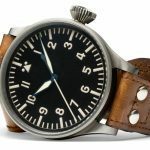 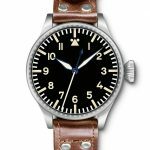 In 1940, IWC started producing the first Big Pilot’s Watch 52 T. S. C. (ref 431) with an in-house manufactured movement and large seconds in accordance with exact military specifications. 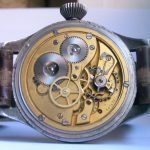 Weighing 183 grams and with a case diameter of 55 millimeters it was the largest wristwatch ever produced by IWC. 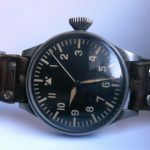 This B-Uhr (singular abbreviation for Beobachtungs-uhren, or ‘Observation’ watch) included a central seconds hand capable of being stopped by pulling the crown (hacking) to enable pilots and navigators to synchronize their watches with down-to-the-second precision. 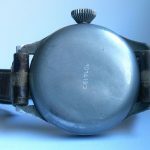 A large onion-shaped crown was necessary to allow glove-wearing pilots to easily adjust their watches. 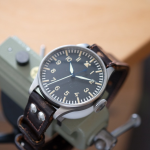 The overall reductionist design, with clearly organized black background dial and luminescent hands & hour markers, leant heavily on the cockpit instrumentation of the legendary JU 52 plane. 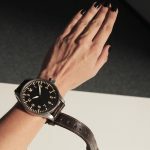 This legibility in difficult lighting conditions was paramount.